Twitter has become a playground for politicians and world leaders to announce latest policy decisions and achievements. The likes of Narendra Modi and Donald Trump are some of the most followed personalities on Twitter. As a result the platform has become a barometer of sorts for public opinion, with huge activity on important days. Take the first day of the 2019 General Elections, for example. 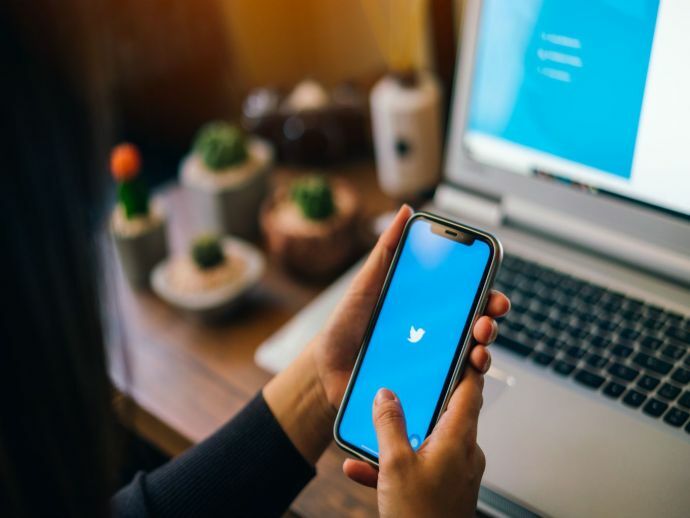 The number of tweets around the elections spiked to 1.2 Mn on April 11, the first day of polling in Phase 1 of the elections. A similar spike was seen on the day when Lok Sabha elections were announced, according to Twitter data. 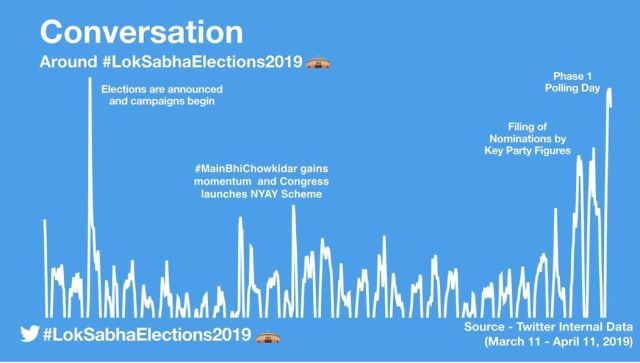 Twitter has been besieged by political hashtags over the past month, with the likes of #LokSabhaElections2019 and #MainBhiChowkidar lighting up Timelines and gaining momentum. All in all Twitter registered 45.6 Mn during the month leading up to the first phase of polling. Narendra Modi (@narendramodi) emerged as the most mentioned figure during the same month on Twitter. With 46.8 Mn followers on Twitter, Modi is the second most followed leader on Twitter, after Trump. BJP president Amit Shah is the most talked about leader on Twitter after Modi during the elections phase. Shah has 13.2 Mn followers on Twitter, while Yogi Adityanath, the chief minister of UP, was the third most talked about leader, with 3.8 Mn followers on Twitter. 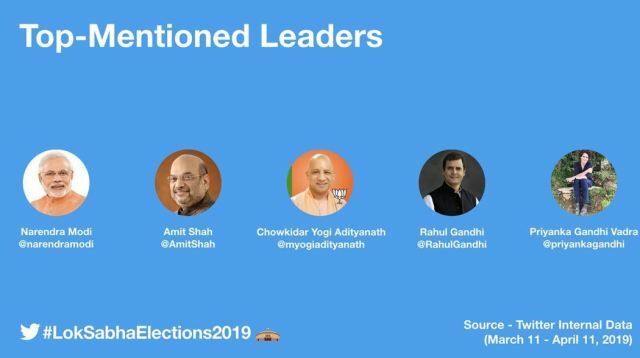 Congress president Rahul Gandhi was the fourth most talked about leader with 9.18 Mn followers, trailed by Priyanka Gandhi Vadra who has only 363K followers on Twitter. 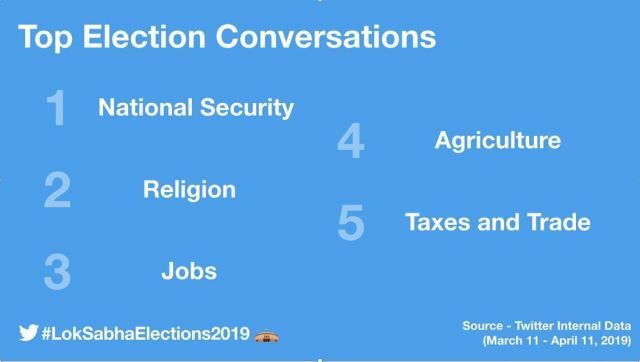 In the past month, leading up to elections, national security has emerged as the most talked about election-related topic on Twitter. This was following the Pulwama terror attack in February. Of course, it’s not just political leaders using Twitter to swing the elections in their favour. Both leading parties also have support in the form of bots and fake accounts to bolster their presence . A study by an US-based cyber watchdog, Atlantic Council’s Digital Forensic Research Lab (DFRLab) shows that on February 9-10, pro-BJP Twitter accounts were busy trying to popularise the hashtag ‘TNwelcomesModi’ while pro-Congress or anti-BJP accounts kept mentioning the hashtag ‘GoBackModi’. Even Facebook grapples with such issues and is removing 1 Mn accounts per day which violate content guidelines.